As you all probably have heard, parking at Levi's Stadium can be both an expensive and time consuming proposition. Light Rail may seem like the next best option, but VTA is experiencing the highest volume of passengers it has had in a long time--perhaps ever--during games. Waits could easily exceed an hour to get on a train after the game. So what other options are there? 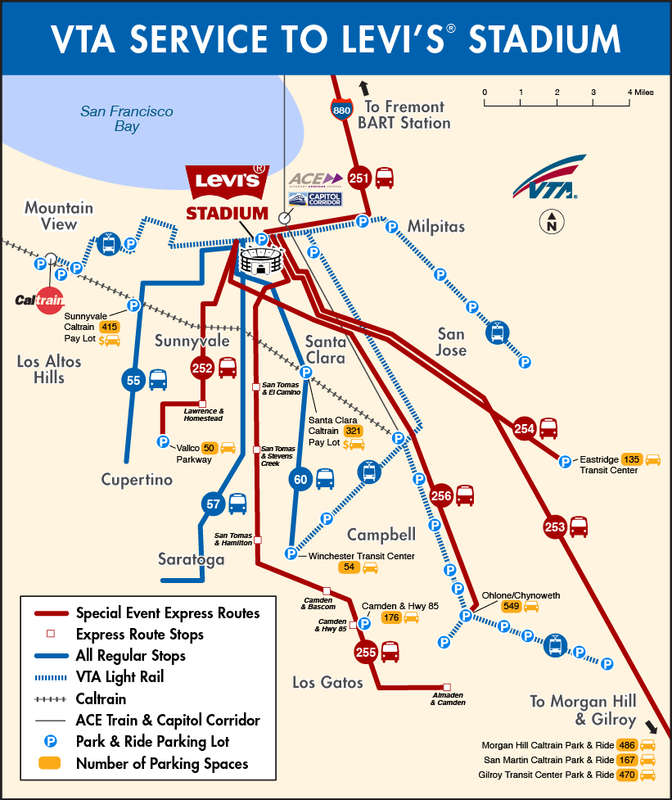 VTA has a ton of express buses from all around Silicon Valley that will travel to Levi's Stadium and back with minimal stoppage. Check out the map below to find the stop closest to you. 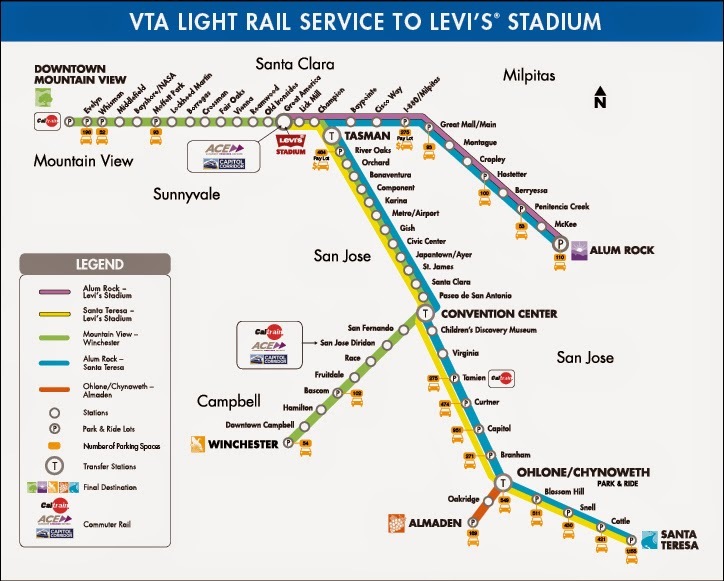 While I'm at it, I also included a couple videos about the express bus service, a map showing the epic Light Rail service on stadium days (with rare triple trains), and a link to the VTA Webpage for Levi's Stadium Service.